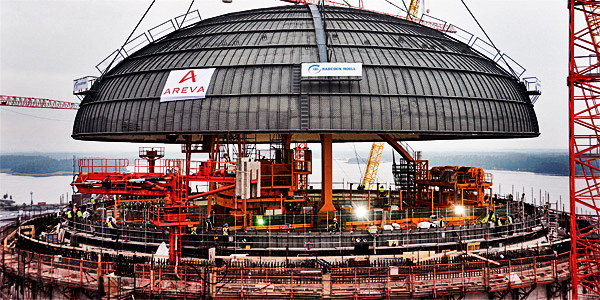 Areva has not commented on the incident publicly. Calls made to the company were not immediately returned on Monday. French nuclear power group Areva was the target of a cyber attack in September, according to a recent post on the website of French business magazine L’Expansion. There were conflicting reports about the incident, which raises the specter of nation-backed spying. Some accounts, including one from Slate Magazine’s French language site, claim that the attack was serious, with hackers enjoying consistent access to Areva’s computers for up to two years. Word of the incident first came to light on September 16, when employees of the firm were notified that there would be three days of maintenance performed on the company’s system to “strengthen security measures.” These security measures, implemented in conjunction with the National Security Agency Information Systems (ANSSI), appear to be in direct response to the break-in. March 11th, 2011 – Wondering About Details of Primary Pressure – Why don’t we get test messages during drills?